If Jesus were to introduce you, how would He describe you? When He introduced Nathaniel upon first meeting him, he said, "Behold, an Israelite indeed, in whom there is no deceit!" Dig deep and think about your life using Jesus as your measuring tape. Do you measure up? Nathaniel’s response was “How do you know me?” He didn’t look over his shoulder to see who Jesus was talking to, he knew his own character and knew Jesus was talking to him. Notice too that he was being called to follow Jesus and he was not put down. Jesus pointed out the good in his character. As we are sent out to bring in the harvest of followers, we must follow the example of Jesus and find the good in those we want to introduce to Him. Doing that will show others your character that is rooted in Jesus and it gives you an avenue to bear witness to His goodness, making them want to say “yes” to Him. Have you ever needed to update your electronic devices and found that you had no room in the memory to install it? I spent several hours going through, over five thousand pictures dating back many years. As much as I love all of my photos, something had to go. That may seem a little tragic, but I kept all the pictures with faces! 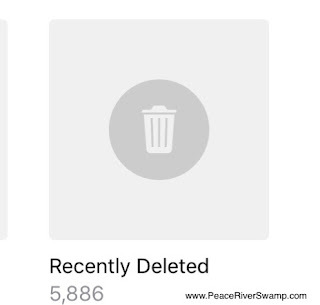 Pictures of my grandchildren, family, and friends are all that’s left. There was a problem though, it didn’t give me any more room! I found out that I have a “recently deleted file” which held on to all of those pictures! 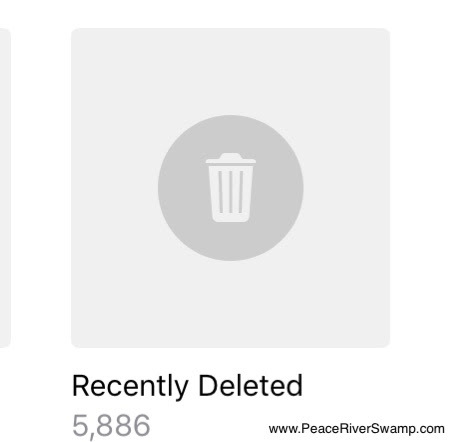 Just like our past, if we don’t give it all to Jesus, it still comes up in our “recently deleted files.” Our memories need to be transformed into victories rather than defeat. If you’ll let Him, Jesus can change your tragedy into triumph, and you can overcome your past. He can empty your “recently deleted file” and replace it with valuable lessons! God has called you to do good things, not to sit around and mope about your current situation. It's very likely that you are feeling this way because of the calling on your life and the enemy knows it! God has divine appointments, people for you to reach, and you can't reach them from where you are now. Practice your gift, begin to use it daily until you reach your full potential. Then, keep going and let God carry you to the place he wants you to be. Just imagine being on the shore fishing and a man calls to you and says "come with me, I have a new job for you." He then begins training you. You have absolutely no skill in the job that he's training you for, but he sees your potential. After several years, he turns you loose and then departs and you preach a sermon that starts the biggest movement in history, "The Church!" Did Peter know that his contribution would shape history? Probably not, but he did what God called him to do, facing the enemy at every turn. If a common man like Peter can do it, so can you! I ask myself two questions when people come against me: is this going to have an effect on my eternity and what is the worse that can happen? Sometimes we worry about simple things that are an unnecessary waste of time that causes us anxiety. My goal is to live a peaceful, worry free life, overflowing with the joy of the Lord, but unfortunately the people of this world don't want or can't have peace. The enemy fills people with nasty thoughts that sometimes turn into actions that can disrupt our lives. Take that moment of anxiousness from the hands of your oppressor, let them have their say while they are in your presence and then when they are gone, let it go, release it to God. You can also be speaking to God in your mind while they are speaking to you! They are the troubled ones. If God needs you to fix something in your life, He will let you know. This world is full of broken people who are puppets in the hands of the enemy. Remember who your God is! I know you've been there, days where things get off to a running start and then don't slow down. Sometimes that's good, but sometimes it's not! As I opened my door, very early in the morning, my dog shot out as fast as he could like he was chasing something. Before I knew it, he was halfway down our long driveway. So here I go, running after him with my bare feet on a rocky path, just to make sure something doesn't eat him! That sure got the heart rate going early! Speaking of heart rate; what gets your heart rate going for Jesus? Music tends to get me worked up and excited for Him. There's just something exhilarating about praising Him! Instead of being overwhelmed by running after a dog or whatever gets your blood pumping, let yourself be overcome with joy for the Lord. It is very satisfying and will change the atmosphere and set the tone for your day. But, there's an added benefit; it gives the Lord what He deserves, and that's a good thing! Florida has a river of water running beneath the surface call the Floridian aquifer. It is where more than ten million people get their drinking water. The water is drawn out of the ground by drilling until you reach it. Florida may be surrounded by water, but it's not fresh or drinkable. The water from the aquifer is considered living water because it comes from a river and is not stale or stagnant. Jesus gives us living water. We live in a dry and dusty land, parched and thirsty, but the water from Jesus is refreshing and quenches us so we never have to be thirsty again. The world may fall apart and die, but the water Jesus gives is lasting. He is the reason we have eternal life. There is no other way, no other being, no other path; you cannot reach the Father except through Jesus. Like Florida, we are surrounded by undrinkable water, people with useless ideas, but if we draw close to Jesus, we will tap into life! Do you ever feel like you might not be tapping into everything God has for you? It's easy to think that way because of all the signs and wonders that we see in the Bible. Not only miracles by Jesus, which were incredible, but by many others who loved God, from the Old Testament to the New Testament. As people of the earth wander deeper into darkness and minds are controlled by it, it becomes harder and harder to explain the truth of who Jesus is. If you continue to be diligent in your studies, firm in your belief, and draw closer to Him, you will see changes within you that can only be explained as divine. We are living in an exciting time, even though it seems like our light is very dim, even a flicker can be seen for miles in total darkness. Just wait for it, the darker it gets the brighter we will shine, and the changes within you will be noticed by all! Then, even those who doubt may change their heart and turn to Jesus.